Distance from Residence 108 km. 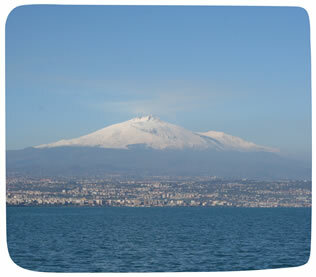 Mount Etna is high 3.340 m and it is the biggest European active volcano. In accordance with the Greek mythology M. Etna is the legendary home of god’s fire Hephaestus. From the top you will see a breathtaking view, one of the most suggestive spot of Sicily.